We live in pretty complex times. From personal life to professional, we have tons of things vying for our attention. It doesn’t matter whether you are a working man or a stay at home mom – there is always more work to do than there is time to do it in. I am sure all of us have times when we are overwhelmed and have it enough. We just don’t know how to manage so much that there is to manage. But guess what! the next time you feel that way, just have a glass a water! Trust me! It works! 1. Set an hour for yourself everyday: Or at least every alternate day. It is very important to set some ‘me’ time out away from the madness of work, family and errands. Just a time you spend doing whatever that helps you restore calm and balance to face life afresh. Read, listen to music, mediate – the choice is yours! 2. Plan your day: Spend 15 minutes at the beginning or the end of the day to plan your (next) day. This will help you sharpen your focus on what needs to get done. There will be other balls that get thrown in the air but you know the top 3 things, probably, that you need to get done on a particular day. There are days when we are overwhelmed with demands from all sides. Our family needs us and so does the project deadline. Learn to get your priorities right. Is there something you can do later or delegate to someone while you are away? 3. Write a ‘done’ list: Chuck the to-do list and let the tyranny that comes with it end! No matter how hard we try, we can’t finish all tasks we want to in a day. Make a ‘done’ list instead. Write down each task as you finish it. You will feel a lot more productive at the end of the day. 4. Learn to say no: We want to keep everyone happy. Help your colleague with the project, be there for your kid’s exhibition and catch up with friends over dinner. But you are only adding more to your plate than you can manage. 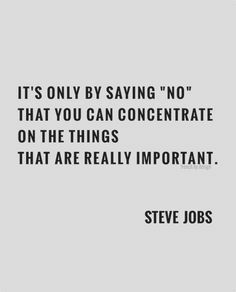 Learn to say no to things that you don’t want to do, can delegate to others or find an alternatives to. Here are a few great tips on how to say no in any situation. 5. Use Pomodoro technique: Distractions – mostly online – are a huge demand on our attention. Fighting it out can add a lot of mental pressure. 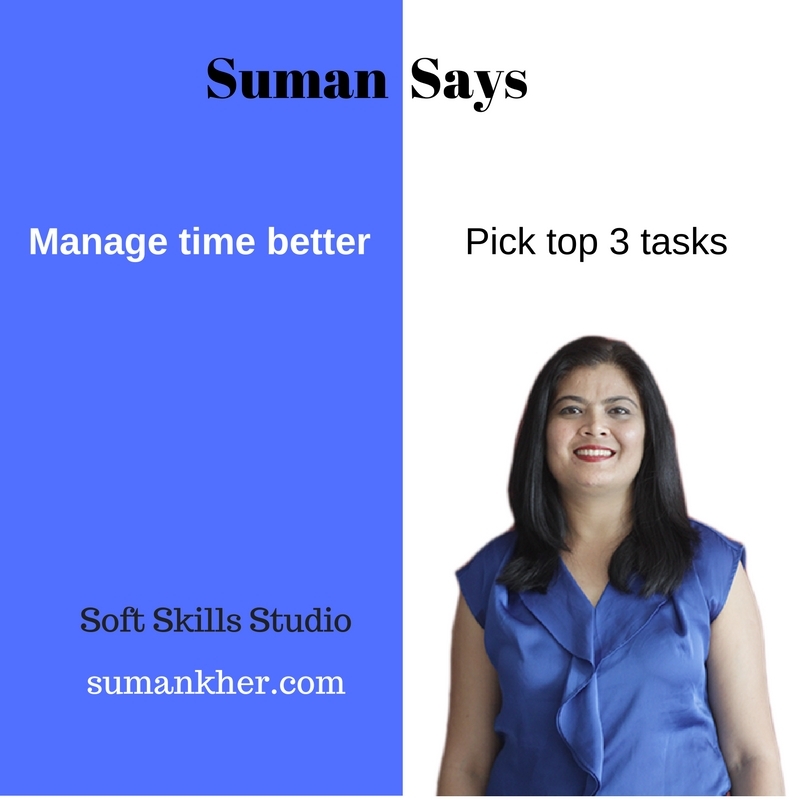 I have realised that setting up time slots in which you just focus on your work helps a great deal. When I need to write a post, I try to stick to a 5 minute timer where I just type out my draft. Other times, I have a 15 timer set. The Pomodoro technique suggests setting timers for 25 minutes. Here’s a wonderful resource to know all about Pomodoro. 6. Disconnect: Research proves that being online all the time can lead to stress and sleeping disorders. Melatonin, the sleep hormone is produced only in the dark and that will not happen till your devices continue to shine light into your eyes. Here are 5 solid reasons why you should switch off once you reach home. 7. Have enough sleep and water: Sufficient sleep is important to get enough rest and recharge our body and mind. You will be surprised that you can also drink your stress away. No, I don’t mean a tipple or two! Staying hydrated keeps cortisol, the stress hormone, levels low. Feeling stressed? Just have a glass of water. Pick up the ones that suit your lifestyle the most. Incorporate the others gradually and see the difference it can make to your life. Do you have more tips to share with the readers about what works for you? I’d love to hear them!